When John Salinas was given a free meal at Smack Dab — a cafe in Rogers Park located at 6730 N. Clark St. — he said he felt a sense of normalcy again. Salinas, a Transportation Security Administration (TSA) agent at Chicago’s O’Hare International Airport is one of many Rogers Park residents feeling the impact of the government shutdown, according to a neighborhood Facebook page. When the government shut down in December, Salinas, 23 — a federal employee through the Department of Homeland Security — said because he’s an essential government employee, he had to go to work for weeks without pay. Salinas said he found himself and his fiancé visiting a food pantry and shoveling neighbors’ sidewalks for extra money to make their car payment. President Donald Trump signed a bill Jan. 25 to temporarily reopen the government until Feb. 15 while negotiations for southern border security continue. Salinas said he thought of himself and his fiancé as middle class until the government shutdown and his sense of normalcy went away. In the 35 days of contention between The White House and Congress, Salinas stopped enjoying things such as going out to eat. Smack Dab and several other Rogers Park businesses have offered discounted and free services to federal employees in the past few weeks who have been furloughed or working without pay as a result of the shutdown. When employees are furloughed, they take a leave of absence from their work without pay. Salinas said the temporary reopening of the government has left him feeling uncertain of what he will do if problems persist after mid-February. Some Rogers Park businesses told The Phoenix they are ready to continue to help workers, such as Salinas, if an agreement isn’t reached. Christine Forster, one of the owners of Smack Dab, confirmed the restaurant provided a free breakfast or lunch and a half-off weekend dinner to government employees with a valid ID during the shutdown. 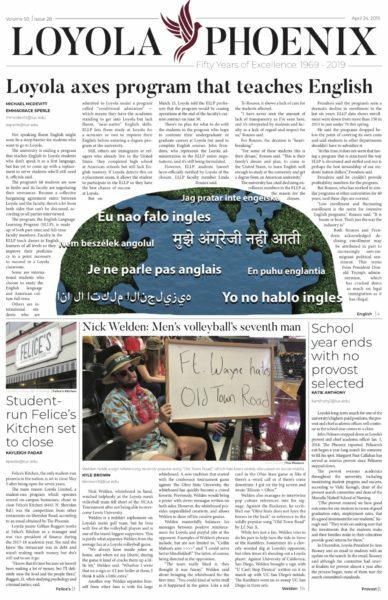 “We try to give back to the community and really be involved, rather than just standing alone and it being us and them, it’s kind of us in this thing together,” Forster, a 32-year-old resident of the Little India Neighborhood near Rogers Park, said. She said she was surprised by how quickly people ran out of resources after going unpaid. The owners of the restaurant also offered free dinner on a couple Wednesday nights, according to Forster, and plans to continue offering dinner every other Wednesday night to anyone in need, even after the shutdown ends. Christine Bell, the owner of Flatts and Sharpe, a music store which also offers lessons located at 6749 N. Sheridan Rd., said in an email to The Phoenix the Rogers Park location waived fees for any households who depend on government income and were furloughed. Bell said the students had to have already been enrolled in the program. Bell said two families have taken advantage of the offer, which Bell said will extend through February and March. For government employees who need their taxes filed for free, Aashish Mewada, a 40-year-old accountant who lives in the neighborhood, said he’s providing complementary services to local residents. He said he’s offering to file taxes for five to 10 people, and has helped one so far, with a potential few others who are still preparing their documents. Mewada owns his own accounting firm, and said he does taxes for businesses in the Rogers Park community, as well as electronic filing for clients in other states. Mewada said he wanted to file taxes for people who were struggling to make ends meet without a paycheck, and said he wanted to take the burden off of people who might not be able to pay for commercial accounting services at places like H&R Block. “I’m offering any local residents here if they are experiencing that lapse in pay, I will take care of their tax filings,” Mewada said. He said he doesn’t typically get opportunities to service the community in his industry, so he said he felt this was his chance. “I work in a profession where I don’t have a lot of avenues to give back to the community as such, so I just sort of saw this opportunity as one way I could offer to take the burden off of some others,” Mewada said. Mewada said he would also extend his offer again if another shutdown were to occur mid-February. Anthony Mesok, the owner of Bark Place, a business which offers grooming and pet care services — located at 1775 W. Greenleaf Ave. — said he joined other businesses in helping federal workers during the shutdown. 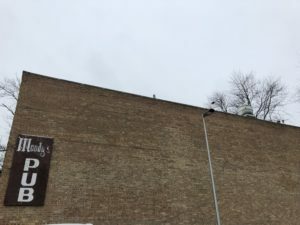 “I’d seen some other businesses trying to do what they can, and I thought, that this is a no brainer for me, I can provide some services and some help without affecting my business too much,” Mesok, a 53-year-old Rogers Park resident, said. Mesok said he decided to offer free daycare, half-priced grooms and pet food at a discounted cost. While he said he hasn’t serviced anyone yet due to a low need for pet care services, he said he was amazed by the response he received after making the offer to federal employees. Mesok said if the shutdown continues after Feb.15, he’d be happy to extend the offer again. While not in Rogers Park, Salinas said he went to the Lakeview Pantry at 3945 North Sheridan Road. Salinas said he was grateful to be supported by his community. A spokesperson for 49th Ward Alderman Joe Moore said on behalf of Moore the neighborhood outreach was part of what makes Rogers Park unique. 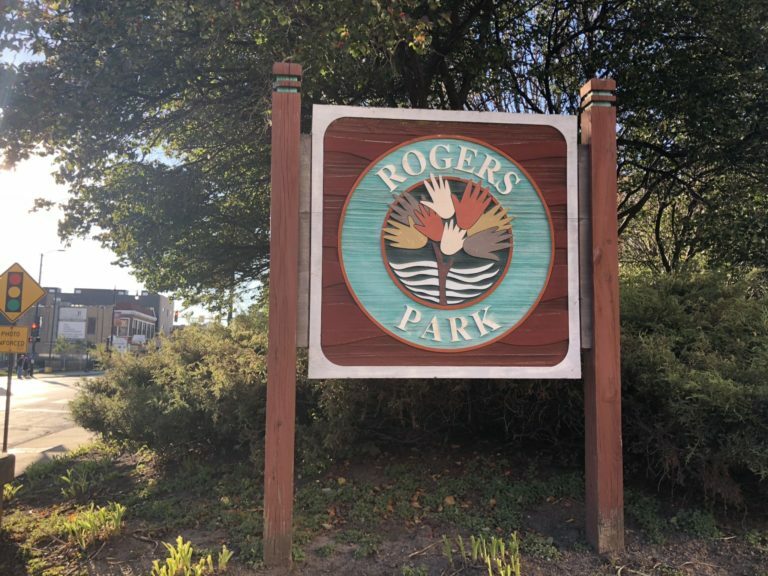 “He applauds all of the businesses that offered discounts to fellow Rogers Parkers employed by the federal government, and that it is yet another example of what makes our neighborhood so special,” the spokesperson said.